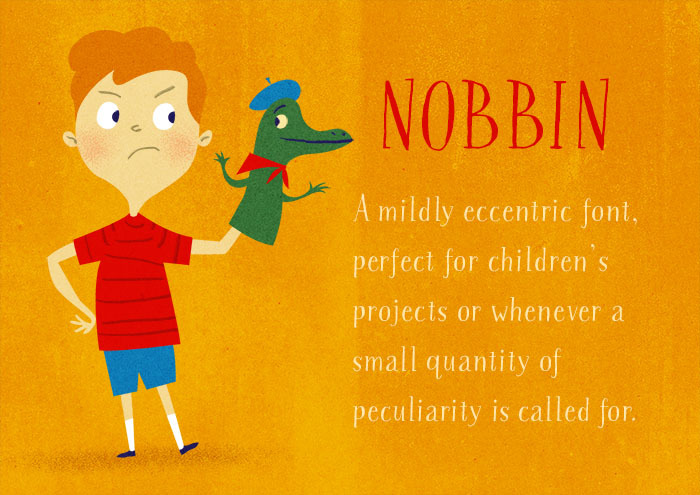 Nobbin was created for the picture book, "Nothing to do." 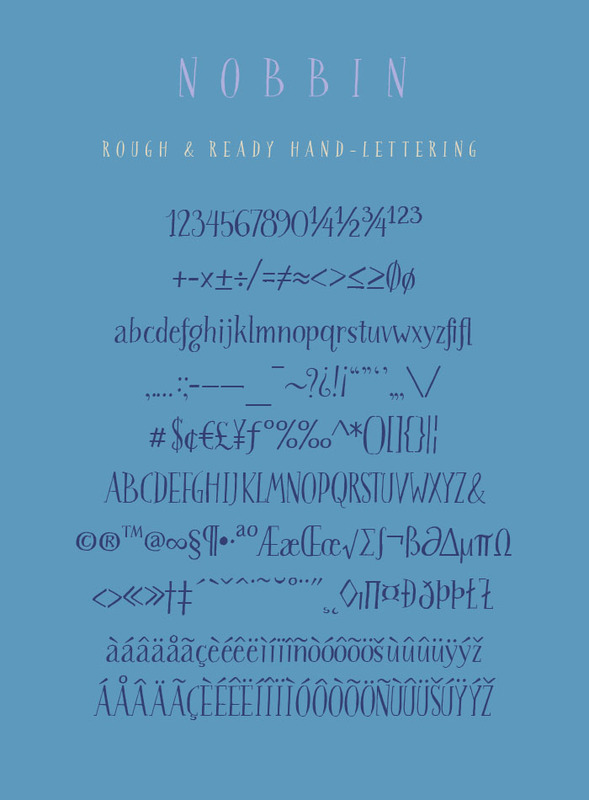 It started with pen and ink drawings of the letter forms which were scanned, refined and converted to a font file. 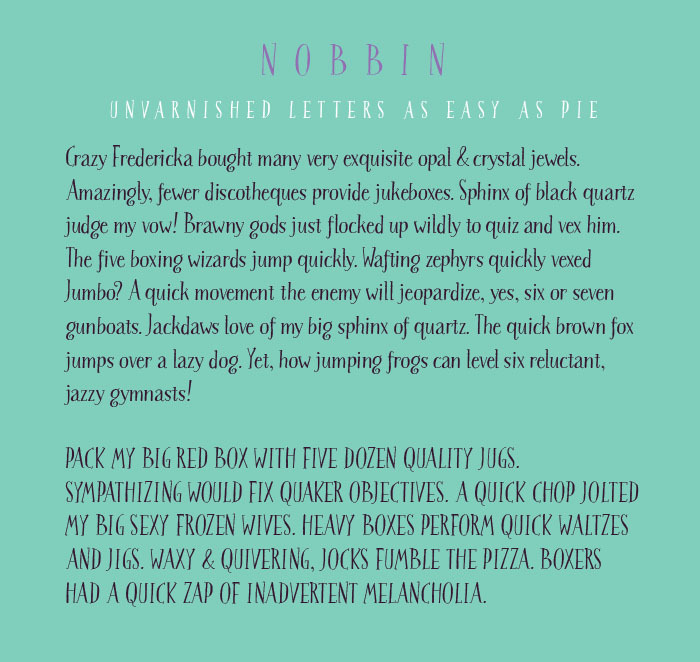 It has been carefully kerned so that, even though it is handmade, it has an orderly color on the page which enhances legibility. It pairs well with designs for children or any other type of whimsical undertakings. Available for purchase from myFonts.